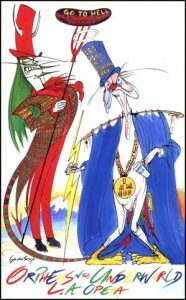 A fascinating exhibition of Gerald Scarfe’s work on stage and on screen at the House of Illustration, King’s Cross in London. A rare opportunity to explore extensive but little-known production designs by celebrated political cartoonist Gerald Scarfe, with storyboards, costumes and props from Pink Floyd’s The Wall, Disney’s Hercules and English National Ballet’s The Nutcracker. Location: House of Illustration, Granary Square, King’s Cross, London N1C 4BH. For tickets please contact House of Illustration.